Earlier in June, Faruk Wasif identified a set of new global movements (Link: https://alalodulal.org/2013/06/13/global-youth-rebellion/). Wasif attributes these movements to the Precariat, the educated, social-media-savvy, young citizen inhabiting a world of perpetual uncertainty. It was the Precariat that held the stage in Tahrir, Shahbag and Taksim; they have been at the helm of this new wave. Each of these movements have held different demands. 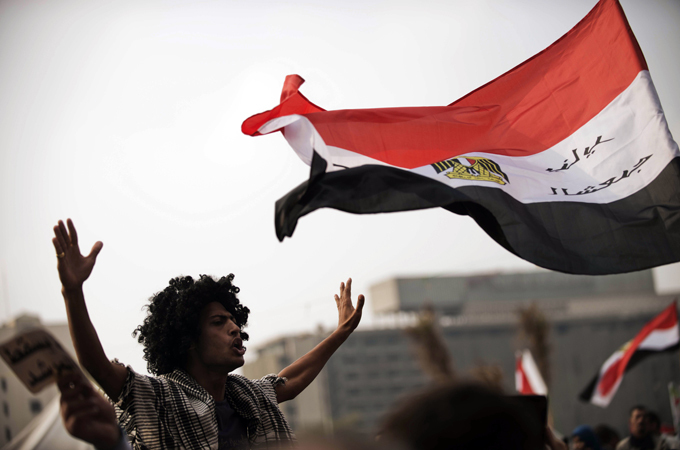 Tahrir sought to oust a nondemocratic government. Shahbag demanded death penalty and later, maximum penalty for war criminals responsible for Bangladesh’s 1971 Liberation War. Taksim resisted urban commercialization. And yet, these movements converged on both their demographics, as well as the larger structural conditions that promulgated their birth. They are bound by the Precariats’ longing to resist their bad governments, political leaders who limit state resources and benefits to a select few and deprive larger society. For Bangladesh, Shahbag came suddenly, without warning. The movement surprised Bangladeshis, who are well aware of their own political subservience. The average Bangladeshi citizen does not take to the streets; that, they leave for unruly political party workers. Exceptional people’s movements, such as Phulbari and Arial Beel, have drawn the rural marginalized. However, our jaded urban citizens have not stood up to the government in a really long time. If Shahbag has come across as a surprise, so has the Arab Spring. However, a closer look at the major processes these countries are experiencing demystifies the emergence of these new movements. The new wave movements have all occurred in countries with exclusive, ineffective political institutions. Their governments have marginalized citizens from political and economic processes. This exclusion has occurred simultaneously with a period of high resource availability for select groups. In Turkey, Erdogan lifted the country out of economic disaster in 2002. In Bangladesh, increasing Overseas Development Assistance and Foreign Direct Investment has legitimized repressive, pseudo-authoritarian governments. However, while the new wave countries are all soaring economically, economic development has mostly benefitted a select few. The new wave demands are complex; unlike many earlier movements in authoritarian regimes they do not call for democratization. Some of these countries already implement a number of so-called democratic institutions; most fall within a ‘gray area’ between democracy and dictatorship. They hold elections, but citizens’ voices rarely matter in politics. Rather, the new wave movements demand open, responsive government; they take to the streets in the absence of democratic participatory spheres. Most importantly, the new wave movements signal a quest for legitimacy – that is, governments that people support, whose institutions serve their needs. They embody a search for real citizenship, the kind that extends beyond mere voter rights. They seek to push their respective countries out of their current political impasse, a stagnant place between democracy and authoritarianism. The new wave demands progress, but often such progress comes at a cost. The Egyptian Army’s recent removal of President Morsi best exemplifies this. Whether the actions leading to Morsi’s removal can be labeled a coup, has been subject to debate. However, for many Egyptians, their apprehension has been mixed with relief. Bangladesh is not too different. In 2006, Bangladesh’s BNP government was removed from power and a military-backed caretaker government took office. In Bangladesh and Egypt, as in many bad governments, the opposition refused to wait it out for the next electoral cycle – and somehow, citizens in both countries supported this move. Herein lies the crisis of many new democracies, which Bangladesh’s unstable electoral period has also highlighted. In the absence of good candidates, citizens vote for the ‘lesser of the two evils.’ As the new regime starts performing badly, the euphoria fades and people take to the streets again. The new wave movements occur within this crisis in new democracies. These countries hold elections and citizens vote for the better of the available candidates. However, many of these candidates do not altogether differ from each other on actual performance in office. These events have serious implications for the stability of new democracies. If opposition forces keep taking to the streets, or resisting elected governments, democracy will have a hard time taking root. Citizenship, at least in the democratic sense, comes with both rights and responsibilities. Once a government is elected, do citizens not have the responsibility to see them through? Can democracies survive, and strengthen without responsible citizens? The new wave movements show popular dissatisfaction with democracy as it exists in bad governments. But if democracy has such trouble taking root in these weak institutional settings, and citizens refuse to adhere to democratic principles – that is, wait it out until the next electoral cycle instead of taking to the streets – we are left with some new questions. Have the new wave movements ushered in a new era of political instability in new democracies? And more importantly, do the movements signal that democracy is now obsolete? Do the new wave movements signal the need to think about new forms of representation, institutions that will, perhaps, work better than democracy as it exists today? Previous Photography’s elusive credit line; and, should we pirate Photoshop? Next Does this photo need a caption?